Sustainable recycling dowdy tableware. 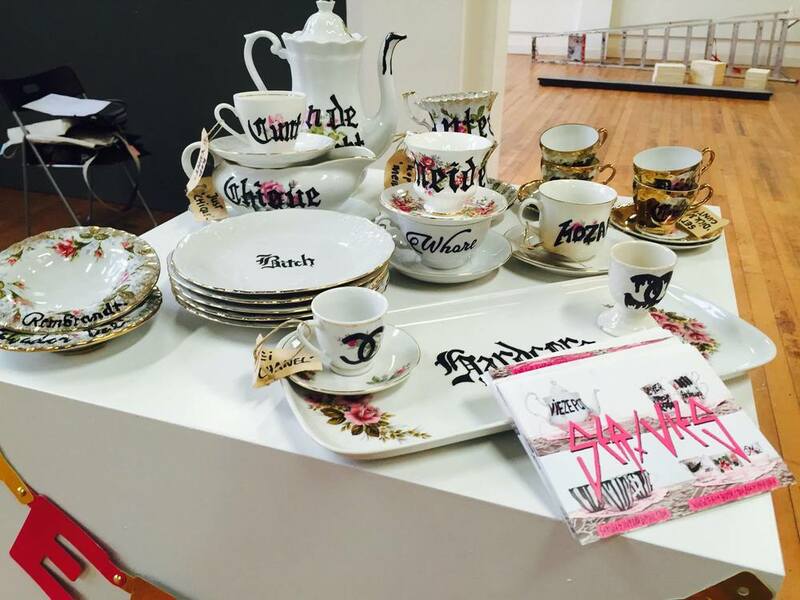 Removed from the cabinet, dusted and patched up to tableware that's not afraid to come out of the closet. 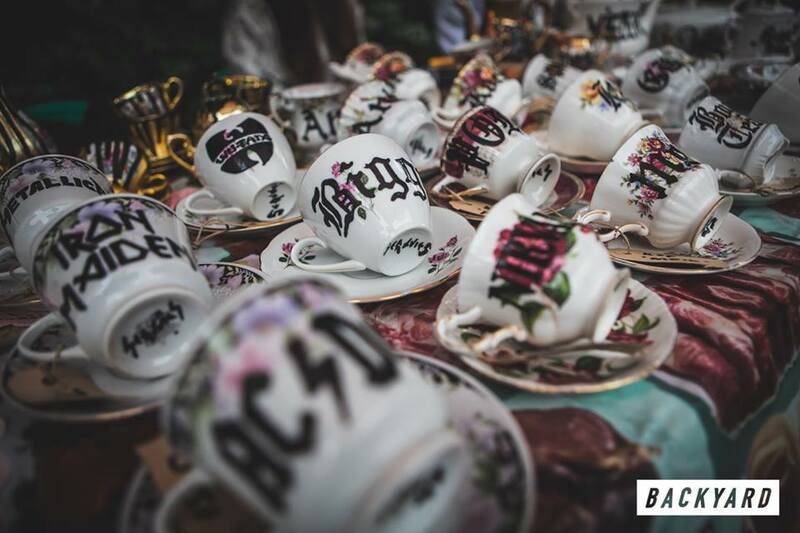 Get lost in a high-class English tea party with metal bands and schizophrenic crockery.